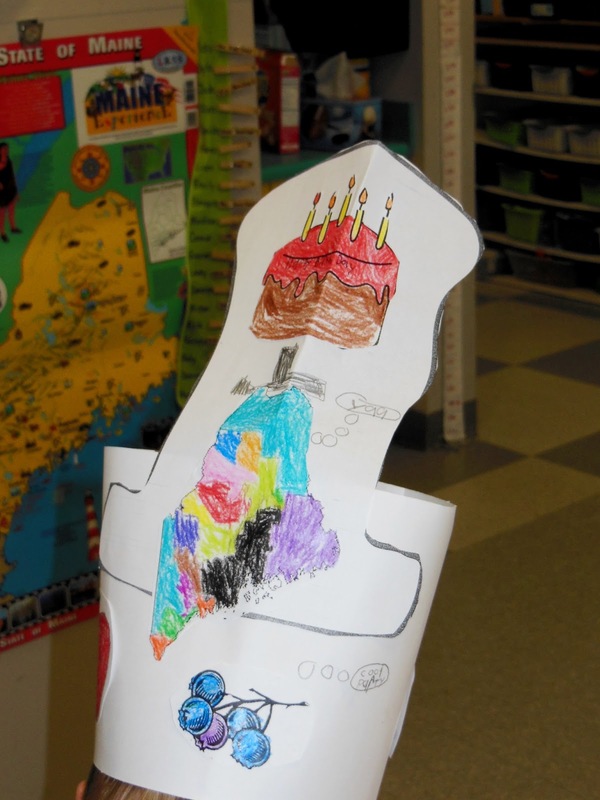 Downeast Teach: Happy Birthday Maine! 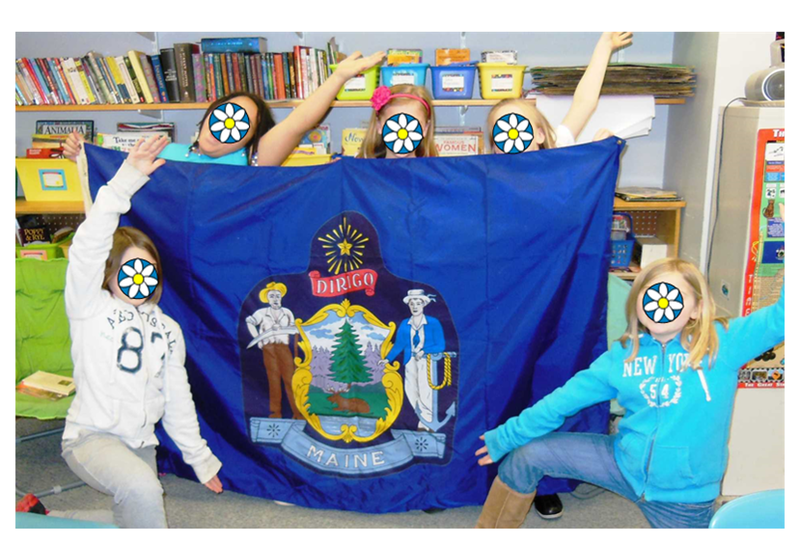 I don't know about other states, but in Maine, a large part of the social studies curriculum for 4th grade is focused on learning about our state. 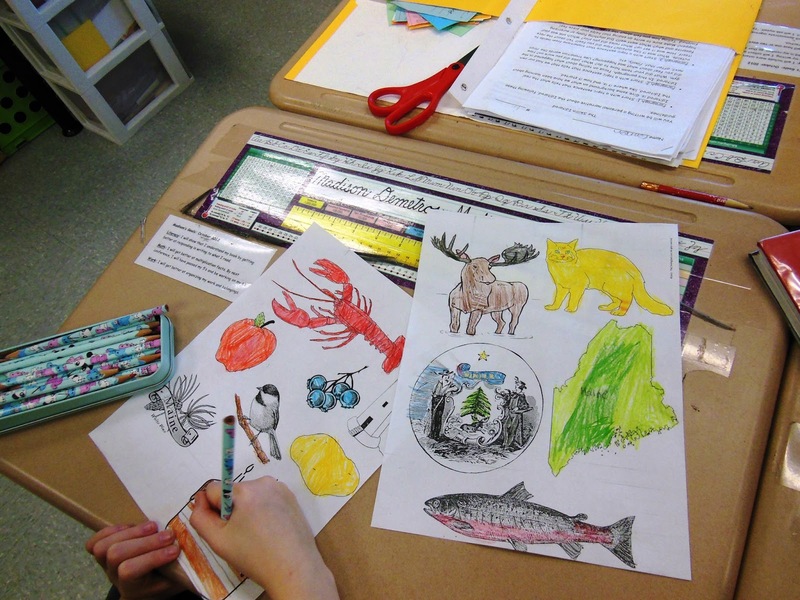 We study the geography, history, government, and economy of Maine. Today was Maine Statehood Day, because on March 15, 1820, Maine became the 23rd state to join the Union. 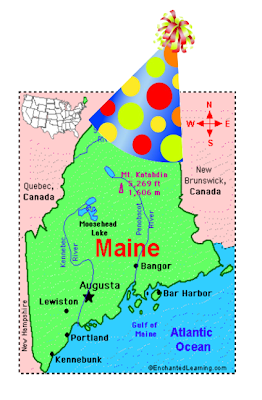 In honor of the occasion, we had a Maine Birthday party today. It was a great way to review some of what we've learned about our state as well as just have some fun! This was my morning message on the SMARTBoard. Students took turns dragging each number to the correct spot. Students colored Maine symbols to glue onto a paper hat, (made from a template for a famous feline hat). The hats were glued onto a 6x24 inch strip of construction paper, sized to each student's head, and stapled together. You might think 4th graders would be "too cool" to want to wear a hat like this, but they loved them! Our menu consisted of blueberries, (our state berry), Goldfish crackers, pretzel logs, apples, B&M Baked Beans, potato chips, Moxie, (which was invented in Maine, apple juice, and Poland Spring water. 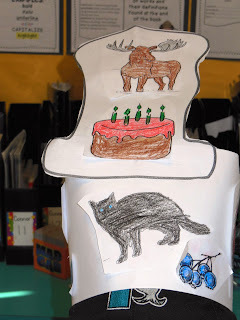 In the past, we have had moose-shaped sugar cookies, Whoopie Pies, (our official state snack), and mini-blueberry muffins, but due to food allergies, we can no longer have any baked goods. The kids did not seem to mind at all and some even came back for thirds! There were a lot of purple teeth in the room! We did the birthday chant that we usually do when it's someone's birthday. 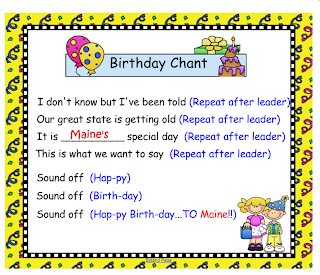 Click on the picture to get your free birthday chant. We played "Pin the Tail on the Moose"! 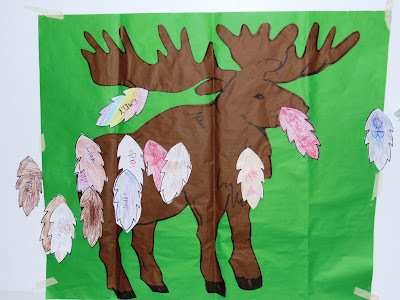 No, I don't have only 14 students in my class...I had one student absent and there were 5 tails that didn't even make it onto the moose paper. 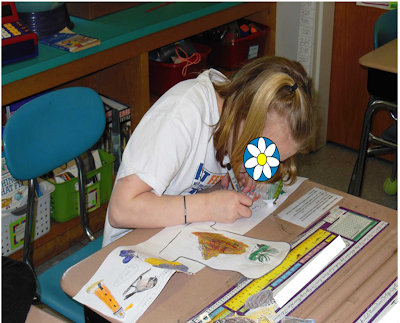 I had to stop one student from walking blindfolded right out of the classroom! We also played Maine Jeopardy, boys against the girls. I adapted the rules a bit. First, I did not require them to answer in the form of a question. Second, while each team took turns choosing a category and point value, both teams had the opportunity to answer every question. 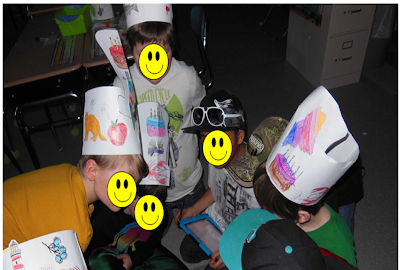 We used iPads to write the answers using the free Show Me App. The kids loved this and asked if we could play again sometime. 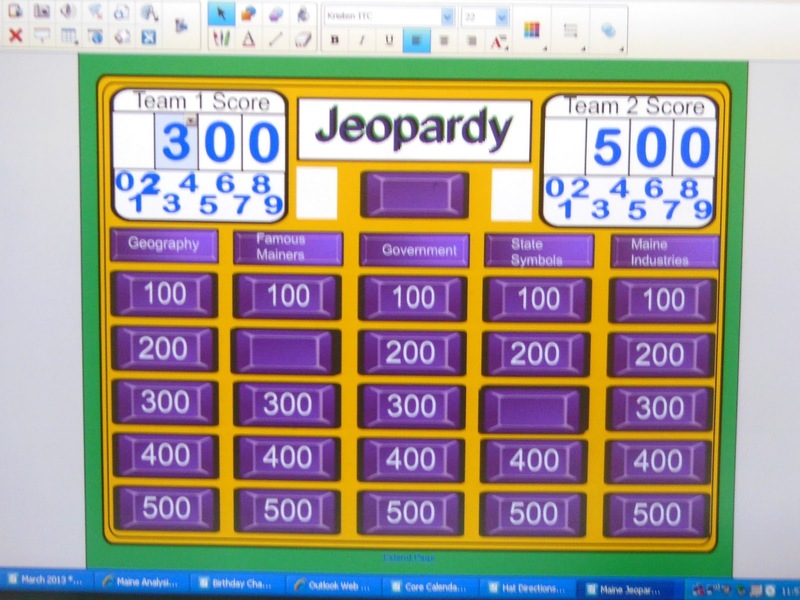 My teaching partner found a free Jeopardy template on the Smart Exchange and we just added our own questions. The boys huddle to decide on their answer. All in all, we had a wonderful time, but let me say that I am glad that March 15 fell on a Friday this year. I am TIRED! 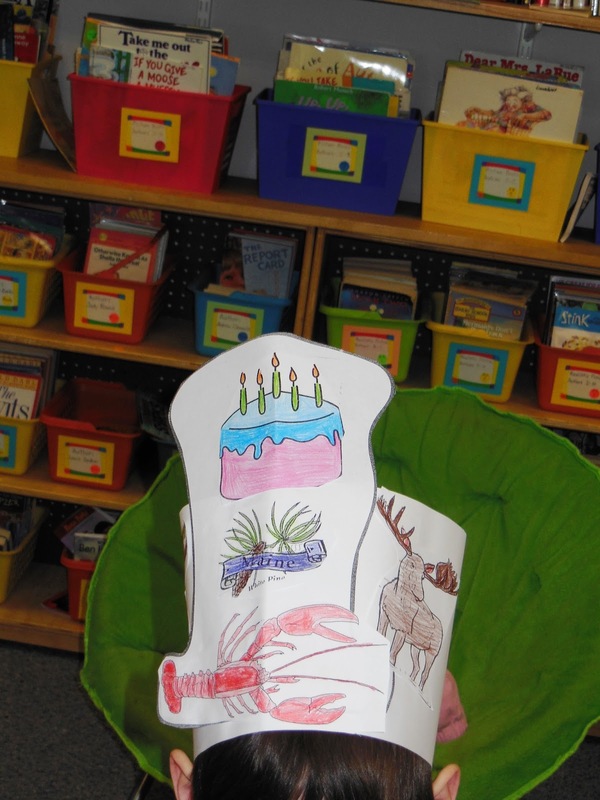 If your curriculum includes studying about your state, consider holding a state birthday party! I just found your blog and I am now following you. I teach 3rd grade, but think there are still a lot of similarities between the two grades to share some great ideas. 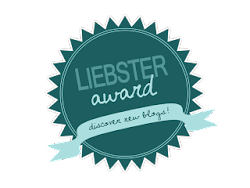 I would love for you to drop by my blog when you get a chance! I love your Maine birthday party! 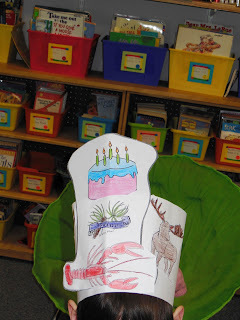 I wish we could have a Texas birthday party, but it is Dec. 29th. I am your newest follower and a fellow 4th grade teacher. It looks like you had a lot of fun celebrating. 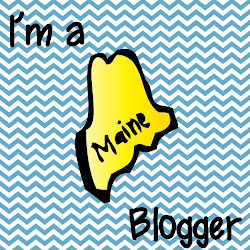 Maine has alway been my favorite state, though I have yet to visit! Thank you for sharing your great ideas. 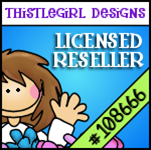 I think your blog is beautifully designed! Thanks for your kind words and for stopping by! Maine is my favorite state too, (but then I've never lived anywhere else.) Hopefully, someday you can visit to check it out for yourself! Speaking of traveling, I popped over to your blog and see that you are on quite a traveling teaching adventure...how cool to be teaching in Guatemala! I am now your newest follower! Thanks for stopping by! We had a blast at our party! I'm off to check out your blog now! SO adorable and educational!! I love it!! The school year will be long gone by Virginia's statehood date, but the founding of Jamestown is coming up very soon! We are most definitely having a birthday party for our SOL review. I like your new blog look, too! 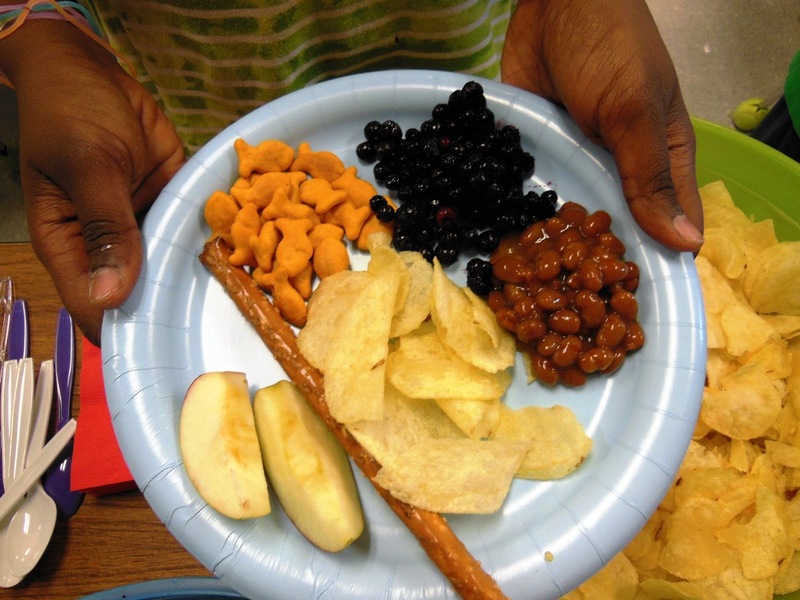 Cathy, I love your blog (the colors and the photos especially!) What a clever idea to have a morning message on the Smartboard using numerical facts! 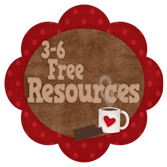 I'm so glad we have linked up together--I haven't seen many other fourth grade blogs yet! Can't wait to see more of your great shares!